How Do Asphalt Shingles Work? 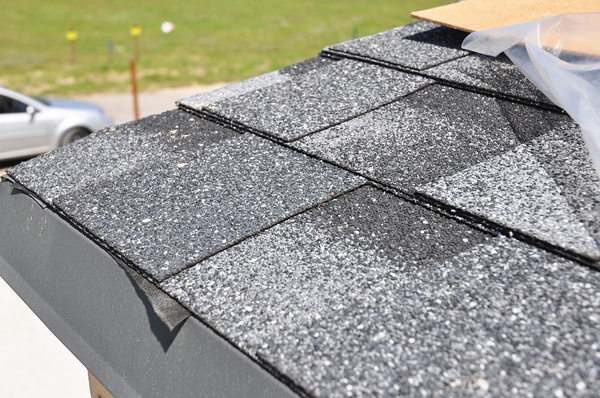 The asphalt shingle has been around for more than 150 years. Have you ever looked up at your roof in some amazement, knowing that it keeps you dry through the rain and snow? Many of us take the structures of our homes for granted, but your home itself is an incredible, functional system that moves water, manages heat, and keeps your family warm and dry throughout the year. As you consider the parts of your home and how they work together, you may wonder how each element contributes to the whole. If your roof is covered in shingles, how do they work as part of your home’s water management system, and what do you need to know about them to keep your home dry and sound throughout the year? Buildings have always had roofing, as one of their main functions is to keep the weather off of the inhabitants’ heads. However, that roofing varies from place to place. From thatch to stone, people have tried many different ways to keep the sun off their heads and the rain out of their buildings. Those ways were often labor-intensive to make. According to the Canadian Asphalt Shingle Association, “It was back in 1840 when coal tar was first used to saturate layers of felt to produce a rolled sheet.” The sheet was covered with sand or bits of shell. It was popular because it was simple to make and therefore cost-effective. Large producers of home products such as Sears were inspired to carry this product and make it widely available to customers across the country. Over time, people began to cut the felt sheet into smaller shingles and make those commercially available. Improvements to the shape turned it into a diamond cut and created interlocking pieces to reduce problems with wind on the shingles, while asphalt began to be used as an alternative to place on top of the felt. In the 1960s and 70s, adhesive became part of the shingle as well, so they were even easier to install. The inexpensive yet effective asphalt shingle had become part of the culture of North American roofing. There have been more improvements in recent decades as well. There are now two main types of shingles: organic and fiberglass. Organic shingles are made out of paper with an asphalt coating, while fiberglass shingles provide better fire protection. Architectural shingles are two layers that are bonded together. According to The Balance, “Nowadays, shingles are also available with different textures, thickness, and they can be treated against mold and mildew.” Shingles are constantly improving, and the shingles you install today are not the same as the ones you had installed on your roof decades ago. Shingles are part of an integrated roofing system, and to understand that system, you need to know that your roof has layers. It’s not just your shingles keeping you dry: it’s how they work with the entire roof to ensure that your home is safe. Under your shingles are the trusses and joists that hold up your roof, followed by roof decking: the surface that holds everything together. A strip of shingles go at the edge of the roof after the decking is installed, and these shingles prevent water from entering at the edges. Under your main layer of shingles, there is also an underlayment. That acts as a line of defense if water breaches the shingles. Finally, there is a layer of shingles. How Do Your Shingles Work? While asphalt shingles were popular because they were easy to produce, inexpensive, and simple to install, they also worked well and continue to do so today. If it’s raining on your roof right now, how are your shingles ensuring that you stay dry? Your asphalt shingles are nailed to the roof, and they’re also nailed to each other. This helps prevent them from lifting up during a wind storm. Adhesive that comes on the shingles also attaches them, providing extra reassurance that the shingles will not fly off the roof. This adhesive is heat-activated. The shingles overlap so that water doesn’t move into the cracks between them. Overall, your roof is designed to be a system that has multiple layers of protection to avoid water ingress. What happens to a drop of water when it lands on your roof? Depending on where it lands, it may sit on your flashing around your chimney or be right next to the gutter. It follows gravity downward, moving around the small bits of debris on your asphalt shingles and gradually eroding them. Sometimes water moves towards the edge of the shingle, and if the shingles are starting to lift, it could move under them and move into the underlayment and roofing deck. If the shingles are tightly-fitted and overlap well, it will run over the top to the edge of the roof, where it will either drop into the gutter or move onto a gutter cover and into the gutter. Download our free gutter guide to learn more about gutters and gutter guards. Asphalt shingles aren’t just about keeping your home safe from water. They also help make your home more beautiful. When you’re designing your roof, you can get shingles in different colors to match your trim, your paint color, and even your home landscaping. You can also install shingles in patterns that make your roofing look more intriguing. Instead of being a sheet of black asphalt that’s functional but not beautiful, today’s asphalt shingles can be both at the same time. Over time, shingles get battered by the weather that hits your home. Wind, rain, snow and ice hit your shingles and gradually degrade the coating on top. These elements also make their way under the shingles when possible, gradually damaging them by lifting them up. For instance, if your gutters back up and overflow, there could be some water or debris at the edge of your roof. This water and debris could also back up behind the gutter and move into the fascia boards. This can soften your roof and the areas around and underneath it, causing roof damage over time. Another danger to your shingles is the winter weather, specifically ice. If your roof is slightly warmer than the air, snow that falls on it could melt. This leads to water running into your gutters, but if the air is cold enough, this water will turn into ice as it meets the gutter. That water and ice can back up and move their way under the shingles, leading to cracking and water leaks into your home. A product like Helmet Heat can help prevent ice dams. Wind is also a hazard to your shingles. If they’re loose due to rot or water, a gust of wind can lift up the shingles and send them flying from your roof. Wind also loosens branches and debris, and these branches can hit your roof, damaging your shingles. Your shingles should prevent roof damage, and your roof should be designed to support your shingles. How can you prevent these dangers to your shingles? Avoid planting next to the house, and prune away branches that could fall and damage your roof. Make sure that everything surrounding your shingles is working well: for instance, you should make sure that your gutters stay clean by either clearing them regularly or installing a gutter cover system. Work with a reputable company to install your shingles. Shingles that are poorly-installed are more prone to being lifted up by wind and damaged by rain. 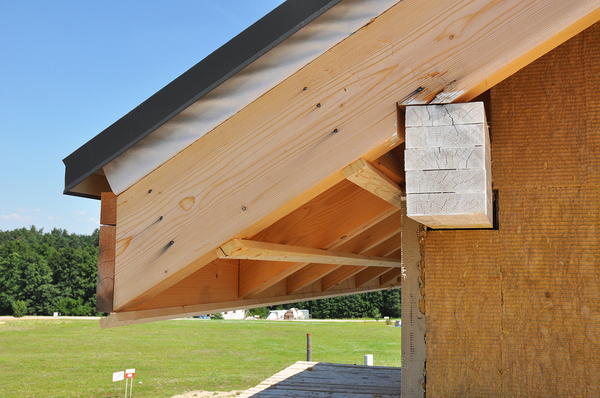 Shingles need to be nailed in using the correct spacing and angle to prevent them from lifting off. Your entire roof should support the wellbeing of your shingles. Your roofing professionals should look for problematic valleys in your roof and should install flashing to ensure that your roof is protected in the places where it meets other structures such as the chimney. Your attic should also have the right ventilation so that it doesn’t have moisture accumulation. While asphalt shingles are one of the world’s most popular roofing materials, they do have their pros and cons, just like any other choice regarding your home. What are some of the benefits and drawbacks of using asphalt shingles? Asphalt shingles are best installed in friendly weather conditions, not extreme cold or rain. They are prone to damage by smaller branches than a metal roof might be. On the plus side, asphalt shingles are not expensive, and they’re easy to install. This means that both materials and labor are cheaper when you’re installing asphalt shingles. For the price, they last a relatively long time, and when they are done they can be recycled into asphalt products such as pavement. They’re becoming more and more aesthetically-pleasing, with new colors coming out regularly. At Harry Helmet, we’re proud to conduct roof replacement work on all kinds of homes. If you have an old, leaky roof or you’re planning to renew your roof when you renew your gutter system, talk with us. We can help you create the home renovation that you’re looking for: schedule a free estimate today.